Preheat the oven to 180°C (350°F/gas mark 4). Toast the pumpkin seeds in a small baking dish for 5-6 minutes, until lightly coloured. Crack the peppercorns gently between your fingers or with the flat of a knife. Deseed the watermelon and cut the flesh into medium-sized chunks (discard the rind). Chop the feta into small cubes and place in a bowl with the watermelon, herbs and the pumpkin seeds. Add the lime rind and juice with the olive oil and toss gently to combine. 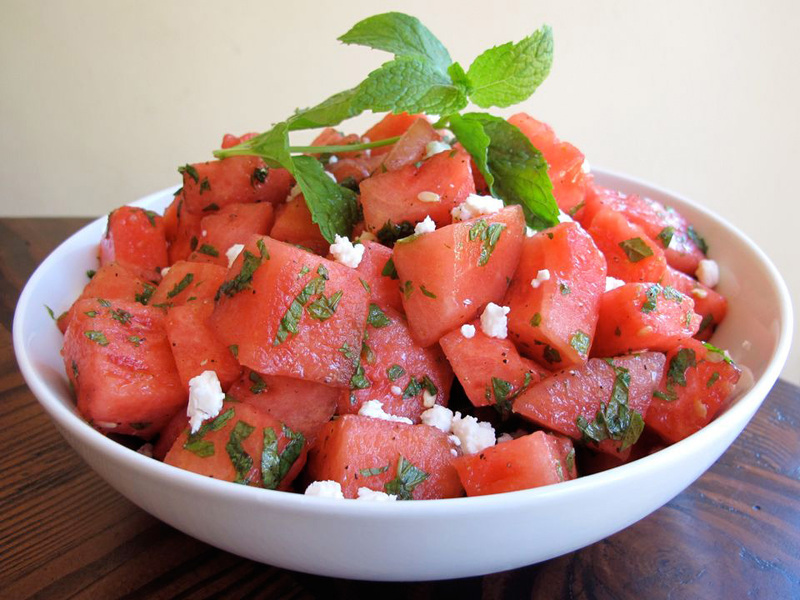 Pile a mound of the watermelon and feta salad onto plates. Scatter over the green peppercorns and serve chilled or at room temperature.